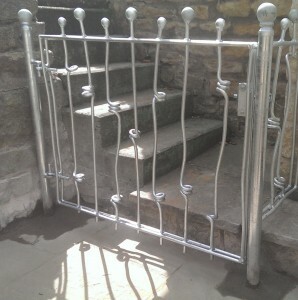 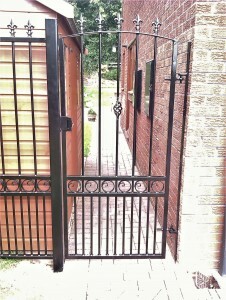 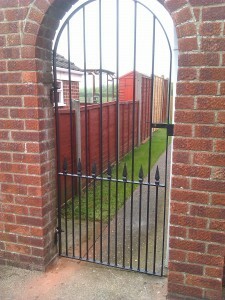 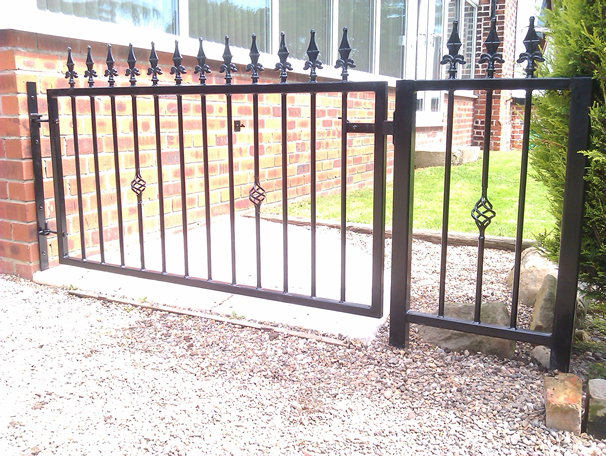 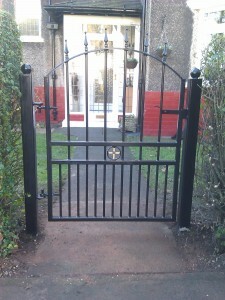 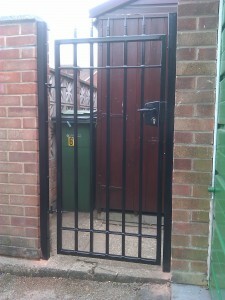 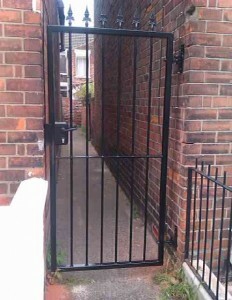 Our pedestrian gates are manufactured and powder coated to high standards in our Hull based workshop. 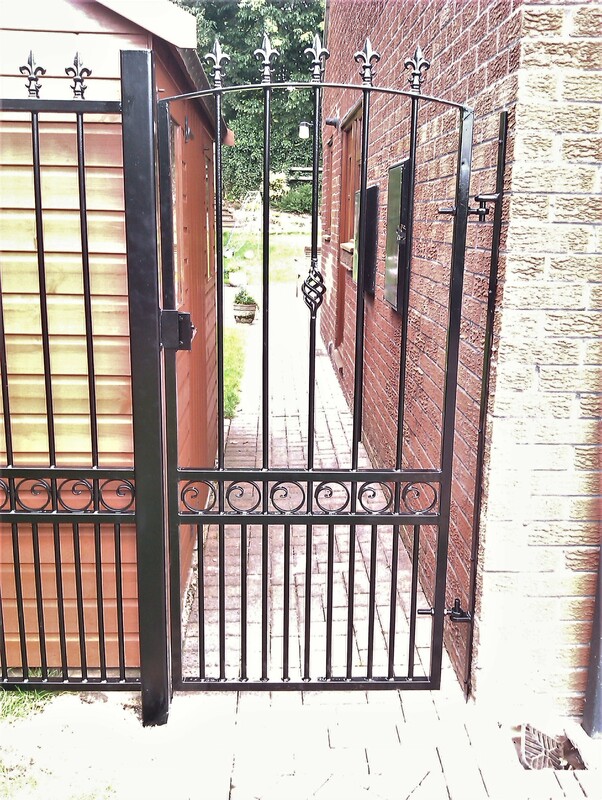 Rather than only tacked at the front and the back, All our products are all fully welded to give strength and durability. 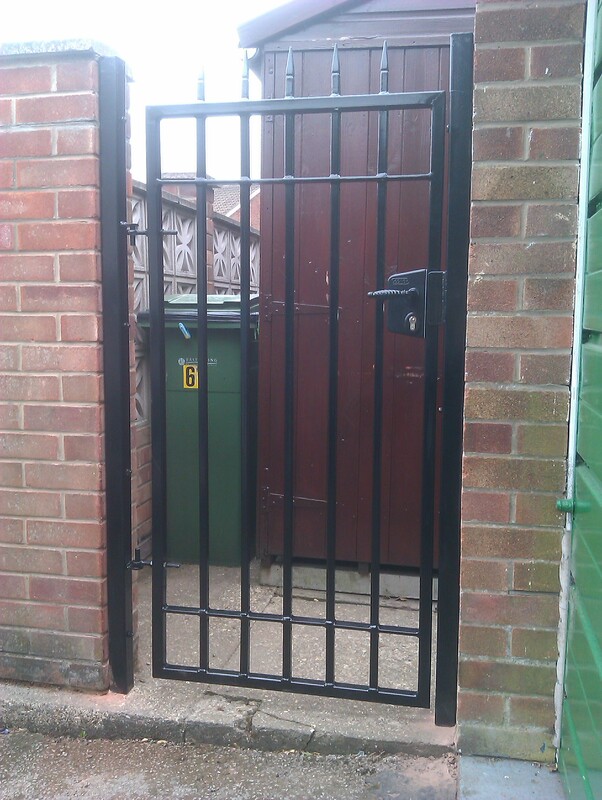 We normally use 30 x 30mm steel box section for the gate frames rather than flat bar which gives more strength and avoids sagging. 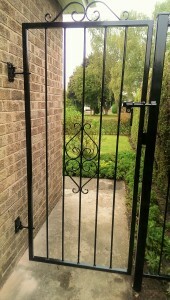 We have a choice of bars for the uprights depending on your requirements and a range of finials to suit each bar. 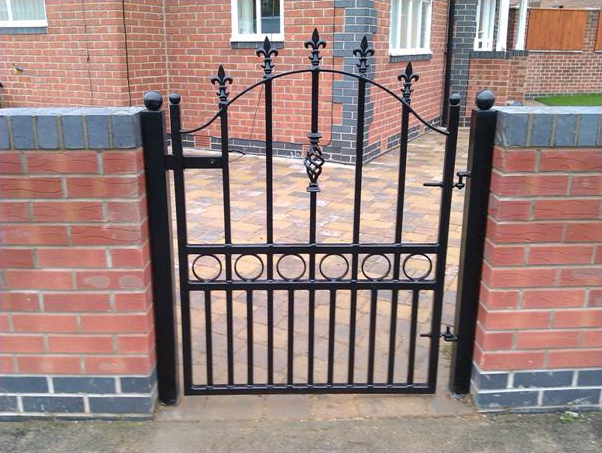 However, our gates are made to order to your bespoke requirement so if you have something in mind we will be happy to work to your requests. 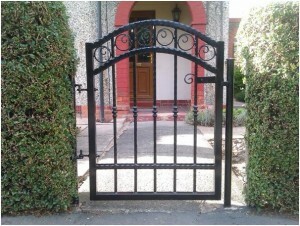 We powder coat all our products as standard. 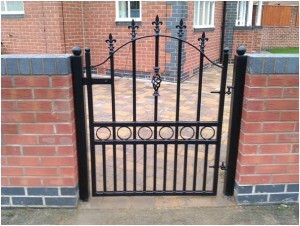 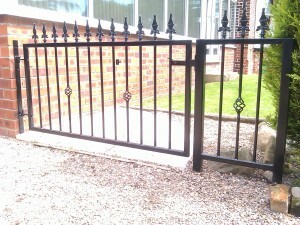 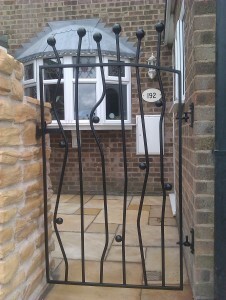 The most usual finish is gloss black but we can powder coat a wide range of colours if you have specific finish in mind. 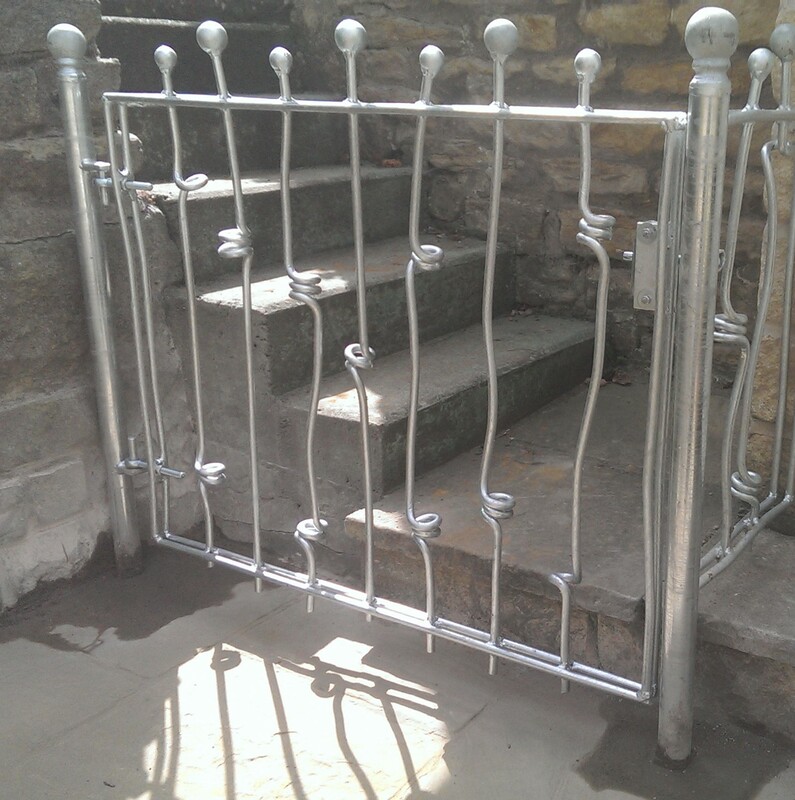 all our products are galvanised (dipped in hot zinc to form a protective coating) first to ensure highest quality and minimum maintenance. 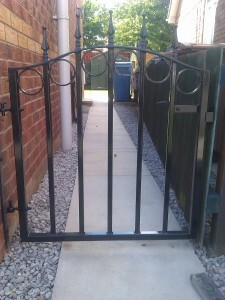 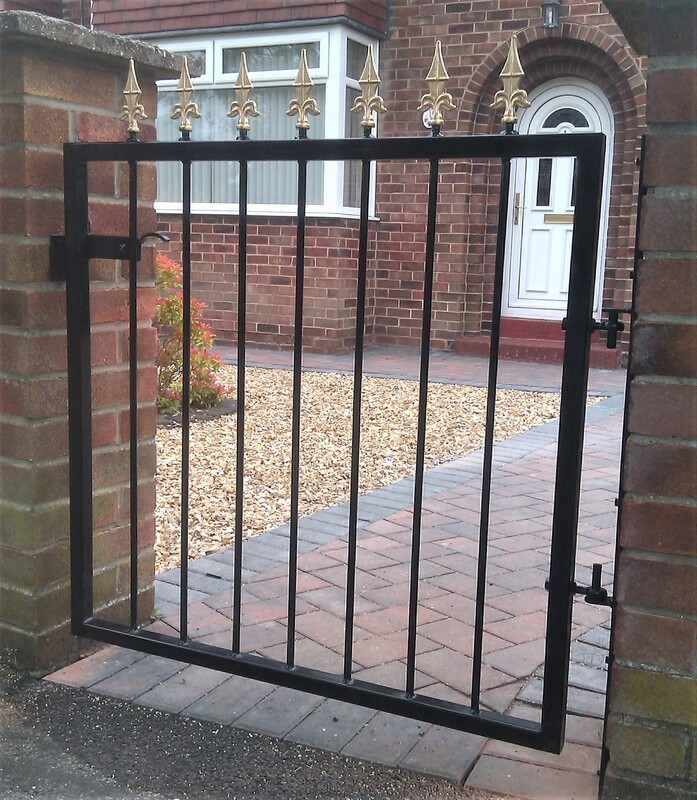 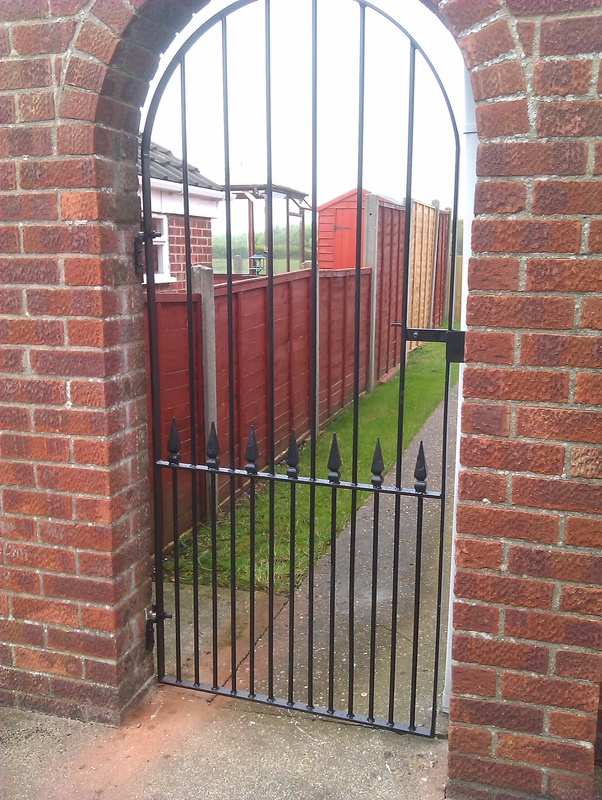 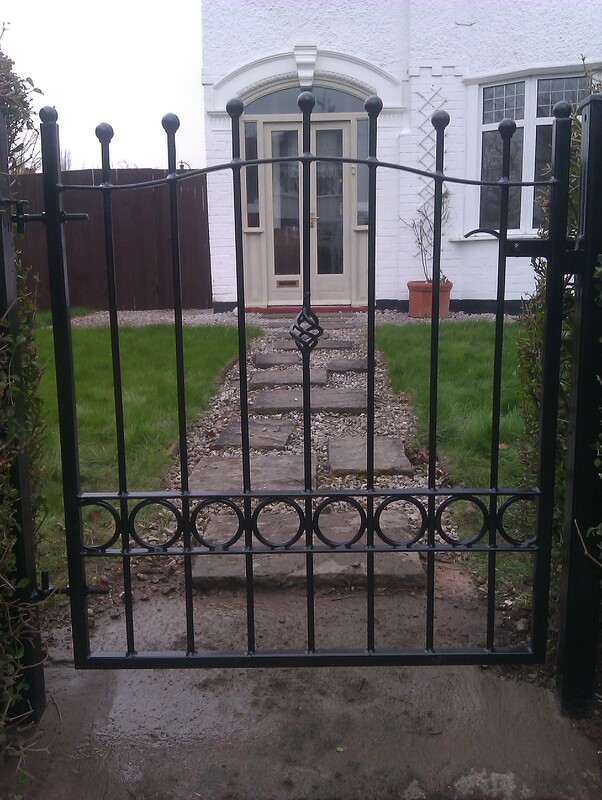 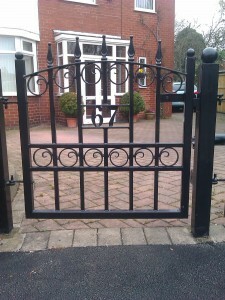 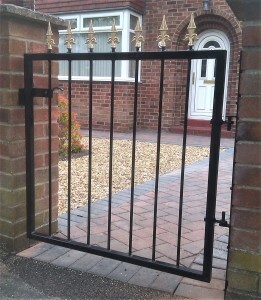 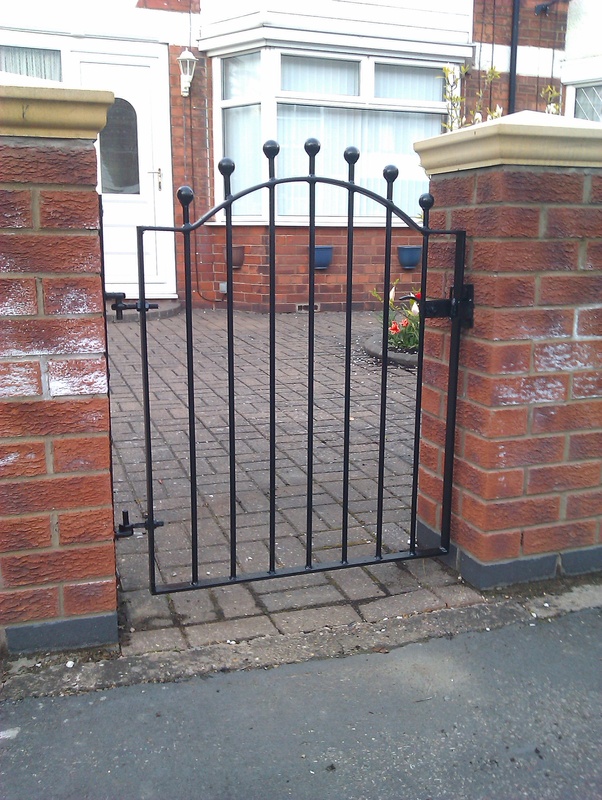 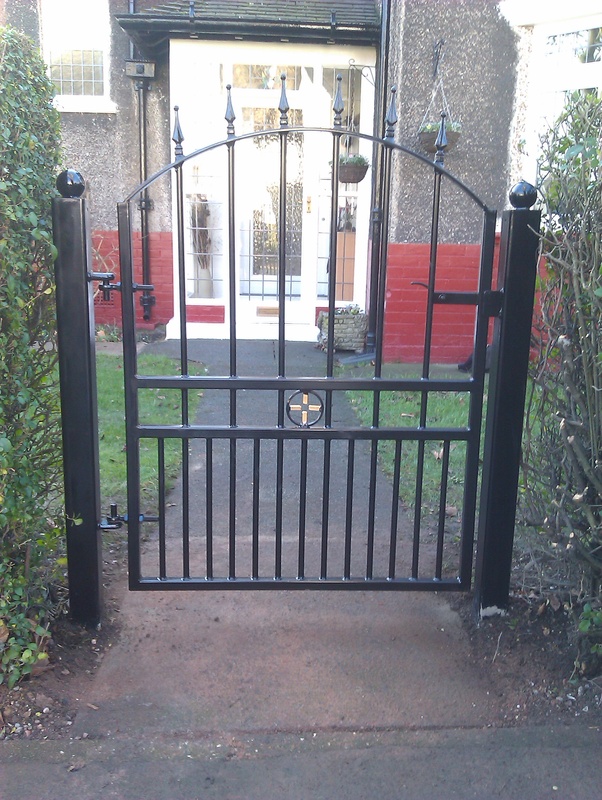 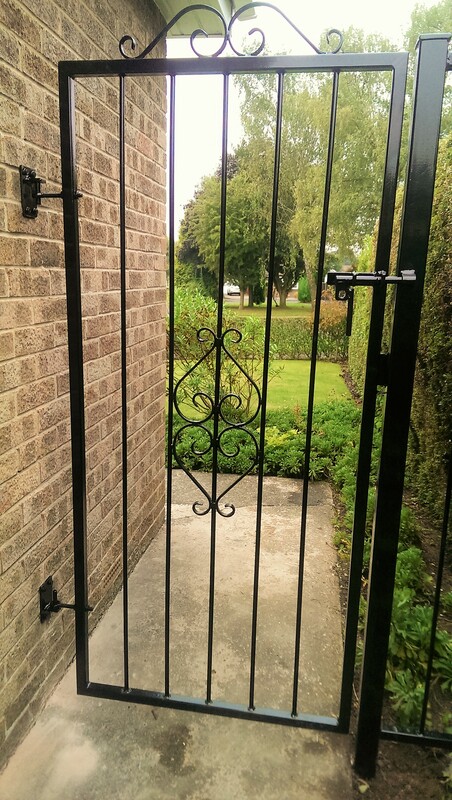 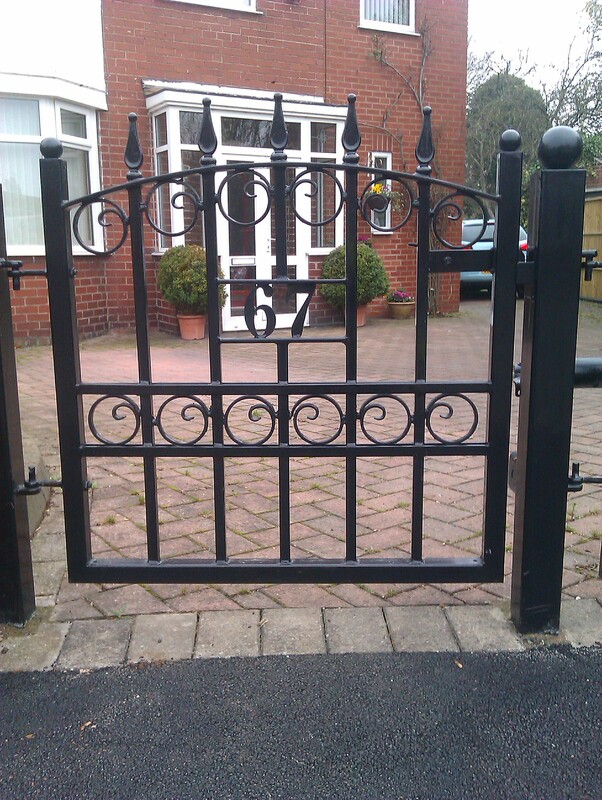 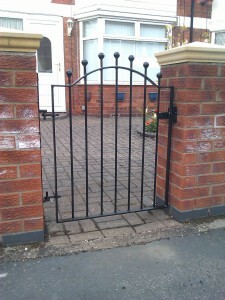 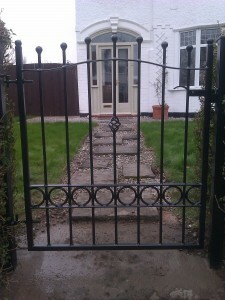 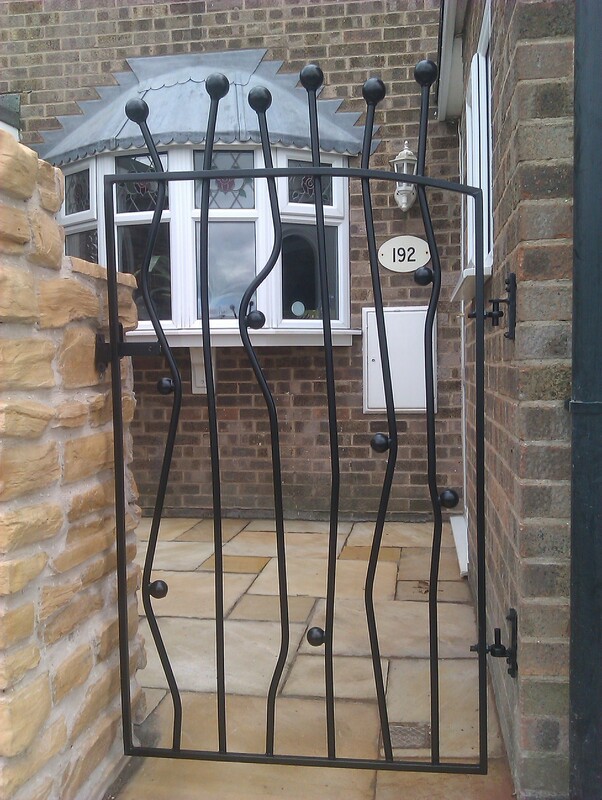 We can offer our products on a supply only basis or offer a full fitting service by our friendly staff which includes disposal of old gates if required.